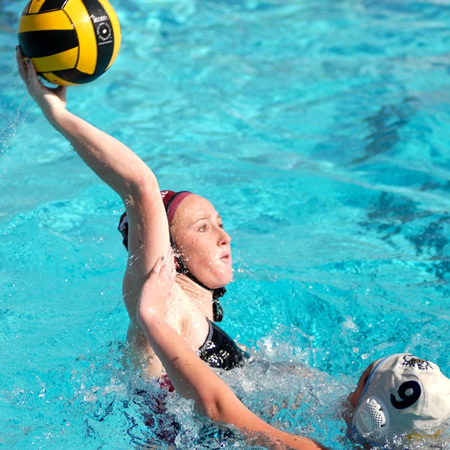 Girls water polo: Sunday, Feb. 15 after 9 a.m. Seven divisions. Breakers are in the top division, D-1. 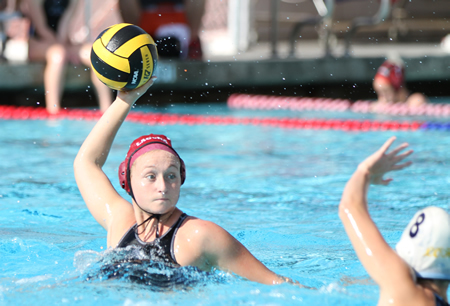 The Laguna girls water polo is trying to make history this weekend as they go for their sixth straight major tournament title defending the South Coast Championships at the Woollett Center in Irvine on Saturday, Feb. 7. A double win on Saturday in the semifinals and tournament finals would clear the last major hurdle in the regular season. If the seedings hold, Breakers would face Corona del Mar at 10 a.m. and Foothill or Newport at 3:15. Last week Laguna earned their 35th consecutive league victory with a crushing 25-2 win over Estancia (0-2, 4-12). Breakers led 14-0 less than nine minutes into the contest and were up 24-1 after three periods. Makenzie Fischer had four goals, the frosh duo Evan Tingler and Sophia Lucas each recorded three. Thirteen players scored for Laguna. On Friday, Laguna met Divisino 1 sixth-ranked San Marcos in a non-league game played in the regulation size Corona del Mar pool. The Royals (12-8) are a very sound defensive squad forcing Laguna to earn every goal in the 16-3 win. Makenzie Fischer started the scoring on Laguna’s first possession when a San Marcos exclusion gave the Breakers a six-on-five power play opportunity and Makenzie made them pay. Bella Baldridge scored on Laguna’s next try but the visitors scored off a rebounding shot to pull within one goal. Fisher scored again off a pass from Mia Salvini and on the next possession, Haley Evans fed Aria Fischer to make it a 4-1 Laguna advantage at the half way mark in the period. Breakers never wavered over the next two periods, building a 13-1 advantage after three quarters of play. It was the Breakers second win over San Marcos this season with the Laguna picking up a 14-4 win on Jan. 16. Haley Evans avoids a foul. The junior is a key attacker for Laguna and ranks fifth on the squad in goals scored and assists plus is fourth on the season in steals. Photos courtesy of Todd Miller. 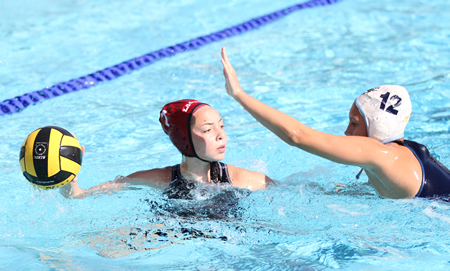 On Saturday, Jan. 31, Laguna hosted Division 2, sixth-ranked Los Osos from Rancho Cucamonga in a non-league contest at the Laguna Community Pool. Breakers were up 12-0 midway through the third period before the Grizzlies scored. Laguna coasted to a 19-2 final with Aria Fischer leading the scorers with four goals and three assists while Sophia Lucas added three scores. Breakers will close-out the regular season hosting Godinez on Wednesday, Feb. 11 and El Toro the following day. Both contests will be at the local community pool. SSCIF D-1 Poll for Feb 2: 1 – Laguna Beach, 2 – Foothill, 3 – Newport Harbor, 4 – Corona del Mar, 5 – Orange Lutheran, 6 – San Marcos, 7 – Dos Pueblos, 8 – Los Alamitos, 9 – Mater Dei, 10 – Rosary. Others: Santa Margarita, Santa Barbara. Aria Fischer in action against the Grizzlies. The sophomore scored four goals against Los Osos and is second on the team in goals averaging just over three per match. Laguna JV (14-2) will also be in the So Cal Varsity tournament seeded 27th. The JV opened with Dos Pueblos on Thursday. 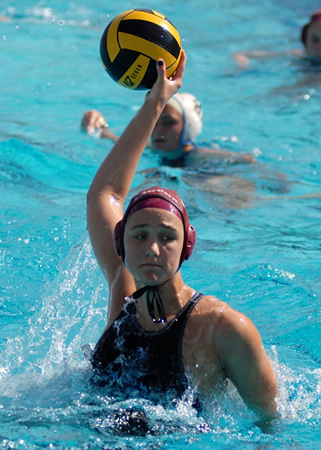 If you catch a girls water polo game for the Breakers this season the usual line up is ( Cap #, class level and college commitment): Starters: # 4 Makenzie Fischer, (SR) Stanford; # 12 Aria Fischer (So); # 13 Bella Baldridge (So); # 3 Haley Evans (Jr); # 6 Natalie Selin (Jr); # 10 Mia Salvini (Jr); # 1 Holly Parker – GK (Jr). Regular substitutes are usually # 7 Taylor Judson (SR) Cal State Long Beach; # 2 Daniela Lucidi (SR) Cal State Long Beach; # 5 Brighid Burnes (SR) Loyola Marymount; # 9 Ally Jochim (Jr); # 8 Sophia Lucas (FR); # 11 Evan Tingler (FR); # 1A Thea Walsh (FR). The reserves: Caspian Brock (Jr), Gabi Beran (Jr). Games consist of four seven-minute quarters with a five minute intermission.